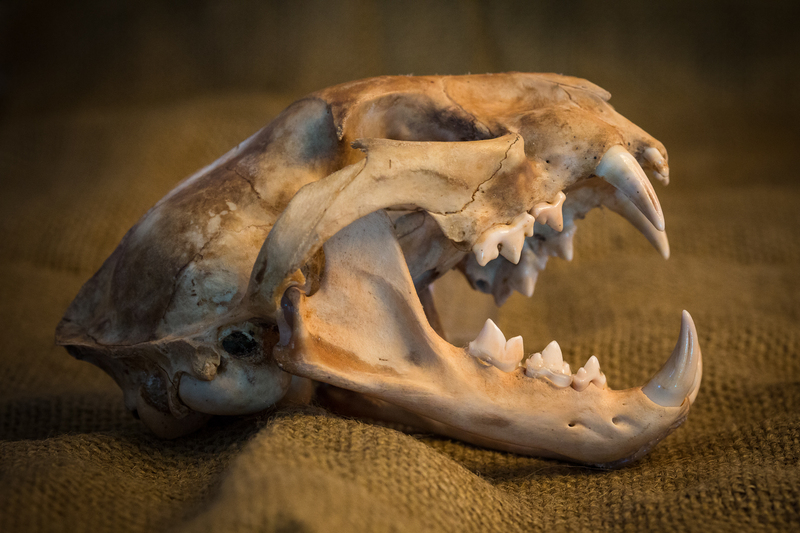 The skull of a fishing cat is a rare site. This individual had been found shot and left dead on the side of the road near Khao Sam Roi Yot National Park in 2011. Now his bones and pelt are used in education and outreach.